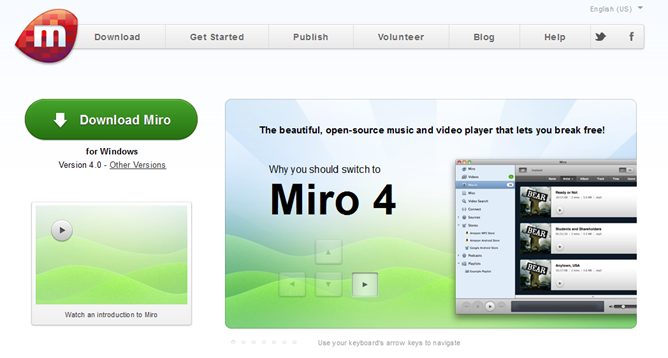 With your phone connected to your computer, you can use Miro to sync music and video to your phone. It maintains a library by scanning folders, and can even import your current iTunes library on first load. This is a welcome feature, as it eliminates the hassle of re-tagging all your music, in case it wasn't perfect before. While Miro doesn't have wireless syncing options like its main alternative, DoubleTwist, features like the ability to convert video into Android-compatible formats and podcast support definitely keep it attractive. I had a chance to play around with the program, and it definitely made syncing music a little easier than managing them in your OS' file explorer; I don't keep nearly enough music on my SD card (or change it often enough) to make Miro a daily use for me, but for people who don't have a secondary music player, this service is likely invaluable. Miro also allows you to import video feeds via RSS, which makes it an efficient way to keep on top of YouTube (and other) feeds. You can download flash videos instantly (if it's in the compatible format) using the program's search engine, as well. It features links to the Amazon Music Store, App Store and Google Android Market as part of a built-in browser; this allows for further purchasing in-app, giving you the complete package from within Miro. Miro is a free download from the company's website, and doesn't require an app installed on your phone to function: just plug it in and go.